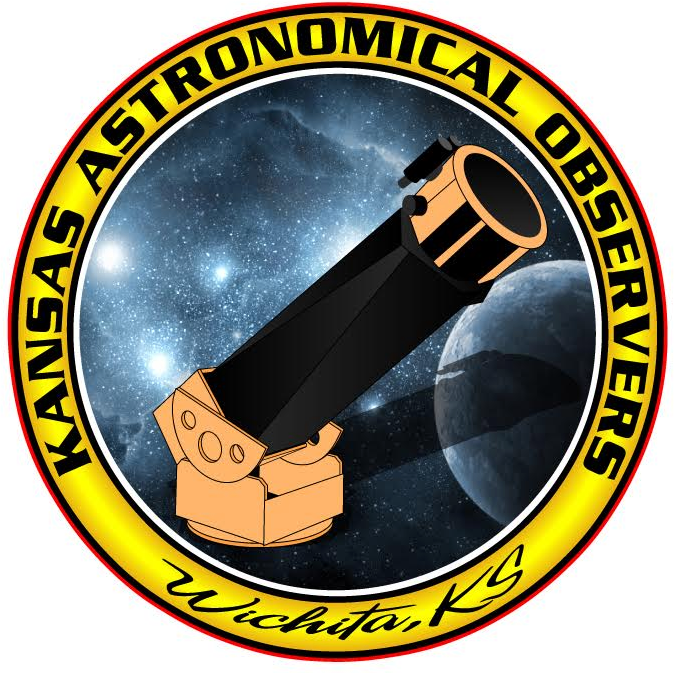 The Kansas Astronomical Observers is an organization which actively pursues the aesthetic and intellectual enjoyment of astronomy through observing, study, and the free exchange of information. We endeavor to expand the appreciation of, and participation in, amateur astronomy, by providing observing experiences to the public. We are based in Wichita, Kansas, but have members in many states outside of Kansas. We welcome anyone from anywhere that has a passion for the night sky! Feel free to contact us about anything you have questions on, wish to comment on, or just want more information on. We will do our best to respond in a timely manner and with the information you are inquiring about. You can contact us via email, or if you like; you can attend one of our meetings. To learn about when and where our meetings take place, click here. If you are interested in becoming a member of KAO, please take a look at our New Member form. KAO meets on the 3rd Saturday of every month. We typically schedule a speaker or presentation every month. All meetings are open to the public. During the summer (May through September), KAO meets at the Lake Afton Public Observatory (25000 W 39th St S, Goddard, KS) at 7:30pm. Members are encouraged to bring their own telescopes and set-up on the observing pad on the north side of the observatory building. In the winter (October through April), we meet at the Great Plains Nature Center (6232 E 29th St N, Wichita, KS) at 3:00pm; enter through the north door. Membership dues are $20 per year. Members of KAO are automatically members of the Astronomical League (a non-profit organization promoting the Science of Astronomy).